The whiskey sauce makes the dish. If you do not have access to a grill, use your oven broiler. This is a copycat recipe from a famous restaurant chain. Recipe reprinted with permission from Top Secret Recipes by Todd Wilbur (Penguin). In a saucepan or deep skillet, make the pepper sauce by sautéing the white onions in the butter over high heat. In about 3 minutes the onions will begin to turn brown. Add 1 cup of the beef stock to the onions. Add the cracked black pepper and garlic at this point as well. Continue to simmer over medium/high heat until the has reduced by about half. Add the , green onion, and remaining 1 cup of beef stock to the sauce and let it simmer over low heat while you prepare the steaks. Remove the sauce from the heat and add the cornstarch to it. Put the back on the heat and continue to cook on low until the sauce is thickened to the consistency you desire. 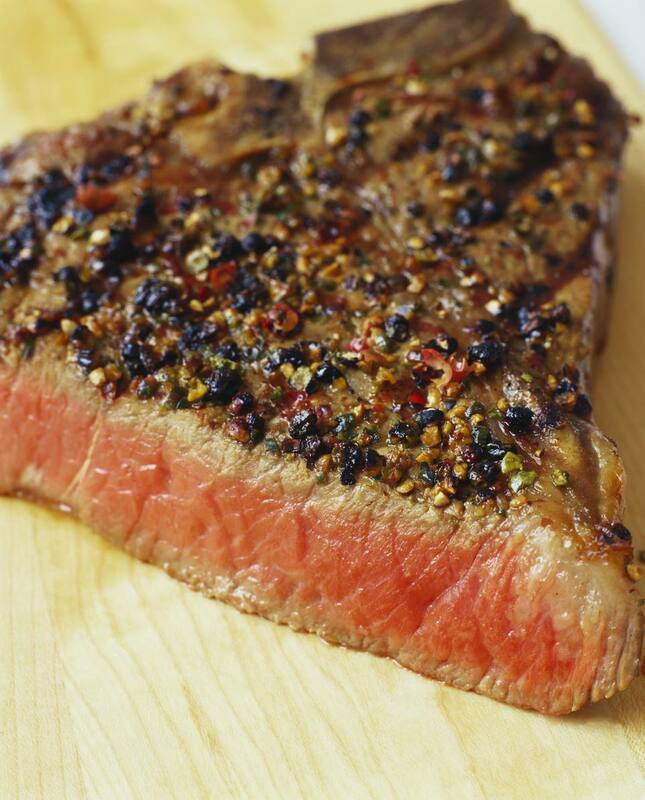 Serve the steaks doused with pepper sauce.